Creating result driven 15-second short videos for ads & marketing. Shorter is better! Short videos are better as they establish credibility to the business. People are 74% more likely to buy a product after watching an effective and interesting video. Shorter videos drive interest to the brand! VideoReel lets you create short and long videos that can be used for marketing, to get your message across, for announcing something on your social media profiles, for Facebook and Social Media video ad campaigns, to create eye-catching animated posts and so much more. Choose from hundreds of video-clips, assets/images, backgrounds and royalty free music to customize your video, add your custom text, record voiceover or automatically turn your text into a voiceover! Hit preview, then download or publish to share your video across social media, on your website, or on video sharing websites. Choose from 100+ fully customizable templates, and create a unique video every time. Create unlimited videos for any niche! Create perfect video with perfect background music. Explore more from the library of amazing audio tracks or add audio clip from your personal library. Add text to the videos or simply convert the text into speech. Choose speech sound from 50 different voices. 4900+ assets/images to choose from! Dive into the massive library and select image to create any type of video, in any niche! Engage viewers with awesome Logos and Branding. Creative Brandings stimulate the viewer visually and emotionally. Besides being professional it appeals to all! traffic and sales you'll make. Now you can crank out hundreds of video ads, launch trailers, reviews, tips or teaser videos in minutes, not months. Get maximum exposure on Facebook with VideoReel's Facebook publishing tool. Post to Pages, Profiles or Groups, right from your VideoReel dashboard. You can even post on multiple Facebook accounts - perfect for client work, or running multiple campaigns in different niches. Save your videos locally - to your hard drive or USB - so you can edit with other tools, and reupload to anywhere you want online! Login from anywhere with an internet connection, and create video ads whenever you want. No clunky software. No memory hogging. This guarantee gives you 14 days to test drive VideoReel, and see if it's right for you. We want you to use VideoReel right now, in the next 5 minutes, and see how easy, quick and fun it is to make videos. See how much money you'll save on freelancers, Fiverr gigs, and all those expensive, confusing video editing tools. ... you won't pay a single dime for VideoReel. Ans – VideoReel is a cloud-based app and hence it'll work on your Mac, PC, Tablets and even mobile phones. You can login and access your videos from anywhere in the world, using any device. Ans – VideoReel comes with detailed video and PDF training and tutorials that can be accessed right inside the dashboard. You can always reach out to our support team if you have any questions. How is VideoReel Different & Better Than Other Similar Apps? Ans – Videos created using VideoReel can be used NOT only for video ads but for social media announcements, engagement, content creation, video ads, getting your message across and getting more eyeballs. PLUS it comes packed with 100+ Templates, 4,500+ assets/images to use, 2,500+ background video clips, 650+ background musics and over 50 different type of Text-to-speech voices. PLUS you get commercial license today, which means you can start selling videos to your clients. Ans – Absolutely! VideoReel comes with a 14 Days Money Back Guarantee. You can take it out for a spin and we guarantee that you’ll love what VideoReel can do for you. Ans – During our special offer right now, there is NO monthly fee or setup fee at all. The price you see above is the only price you pay, one-time-payment. 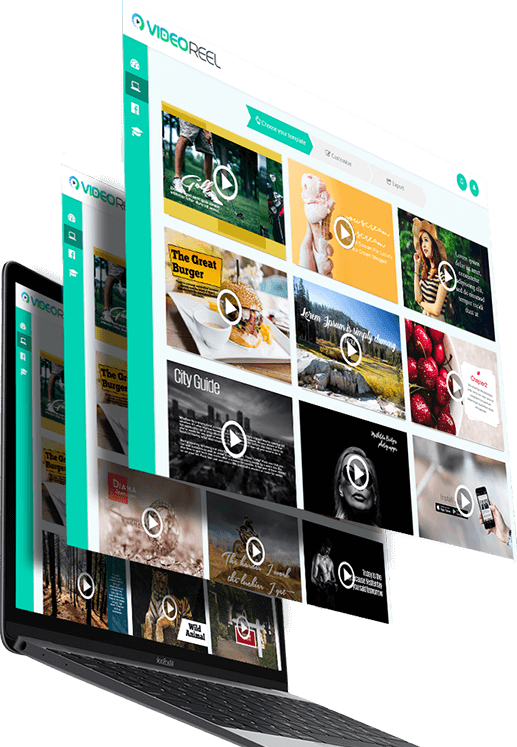 There’s nothing else to pay and you get access to VideoReel Commercial License, 100+ templates, 4,500+ assets/images to use, 2,500+ background video clips, 650+ background musics and over 50 different type of Text-to-speech voices. What is Agency or Commercial License? Ans – VideoReel comes with Commercial and/or Agency License. This gives you the ability to create and sell videos to your clients. You can start your very own video creation service. There is no limit to how many videos you can create and sell using VideoReel commercial/agency license.